Sunny Garcia Surfing is a remarkable new game that sees players thrust into the crazy and dangerous world of professional surfing and it is one hell of an adventure. The game is very easy to follow and control and has a very good graphical base which is complimented by the very slick running game play engine. All in all this is a very good game indeed and I would highly recommend it to all gamers out there. 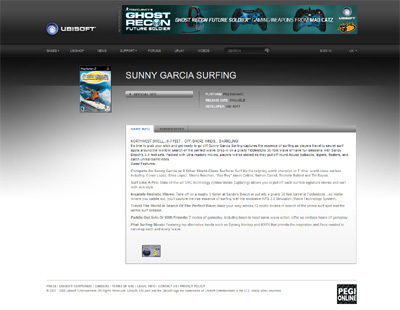 We have also compiled a Review System for this, of which Sunny Garcia Surfing is Rated as Five Stars, the highest possible score available from the Game Review Team.